As you’ll have read, I went this week to see the Dressed By Angels exhibition in London’s East End. 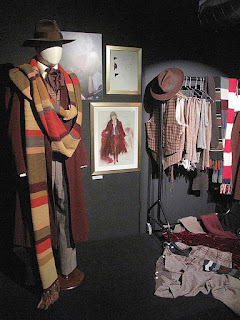 There was lots on display, which I’ve already written about, but I wanted to take a bit of time to show you the Doctor Who section. 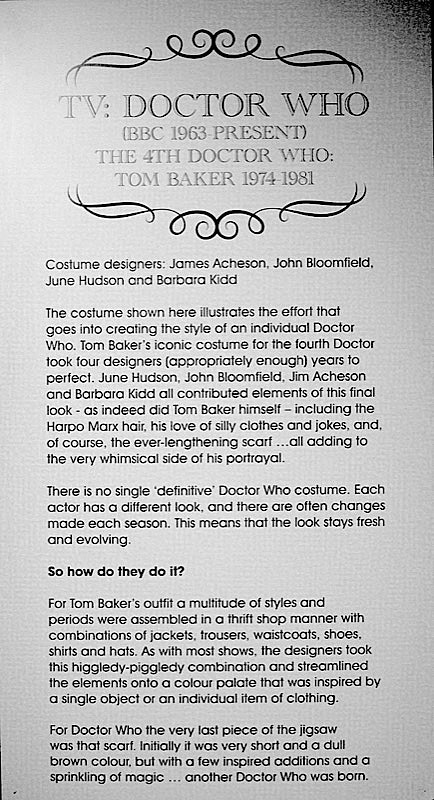 They decided to focus on the Fourth Doctor’s costume, and how it was assembled from rack items at Angels. 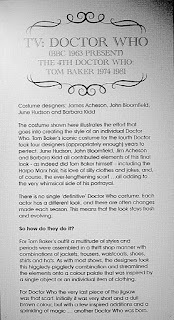 How much of that is really true I would question, as the frock coats and scarf were all custom-made, but I would say a dressing up day was held to find a style and look for The Doctor before refining the pieces that make up the costume. 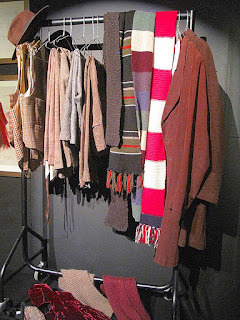 The rack, with a variety of scarves, jackets, waistcoats and trousers is trying to give a feel of what that search might have been like. And the pile of clothes on the floor evokes the discarded choices along the way. 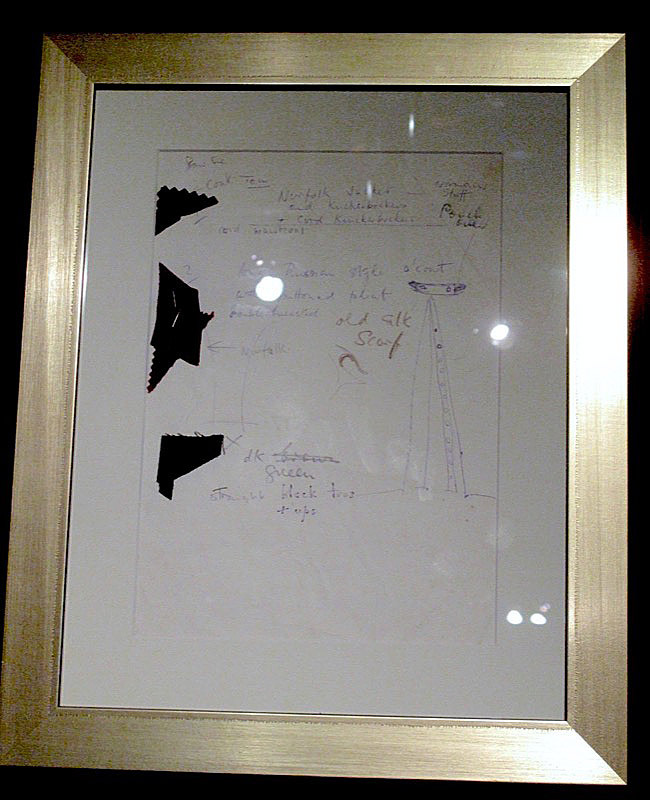 On the wall at the back was an amazing display of June Hudson’s original charcoal sketch of Tom’s final costume for season 18. It was stunning to see it for real so close up. 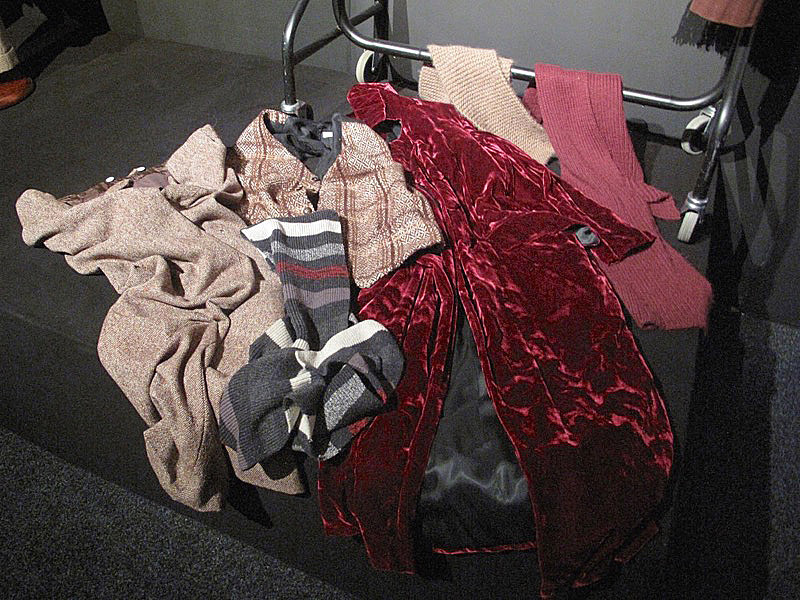 Accompanying it was a display of swatches for the coat as well as the Norfolk jacket worn briefly underneath. 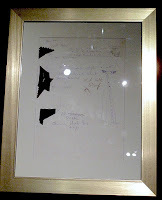 It was a shame the lighting was quite low-key, which made reading the hand written notes almost impossible. 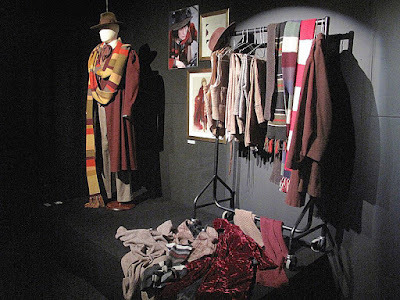 On the wall nearby is a display card explaining part of the history of the Doctor Who costume and Angels’ involvement in it down the years. 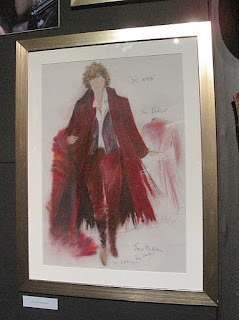 On the day I went to the exhibition, we had a tour guide to show us around and discuss the costumes. 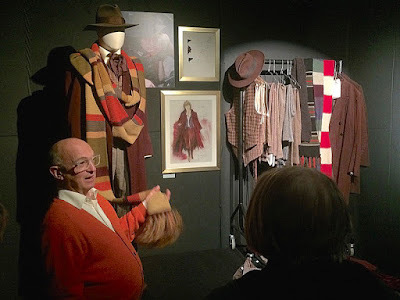 He lingered at the Doctor Who display, but sadly a lot of his comments and input was not entirely correct, given the things we know about how the costumes have been created. Dressed By Angels - CLOSED!